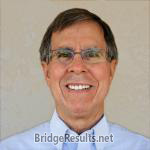 Robert Zinn and Paul Stern scored 0.84 masterpoints with a 54.4% game at In Tempo Bridge Club. See full results of this game. 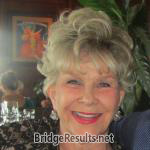 Lou Stein and Wendy Rubin scored 1.09 masterpoints with a 56.51% game at Bridge On Shea. See full results of this game. Wendy Rubin and Lou Stein scored 0.28 masterpoints with a 53.45% game at Clark Ransom. See full results of this game.